Central Media Group started publishing books in 2003. Our books have won 4 times the ‘Beautiful Hungarian Book’ (Szép Magyar Könyv) award, the most prestigious award in the Hungarian book publishing industry. In 2016 Central Media Group acquired Animus, one of the leading book publishing houses in Hungary. 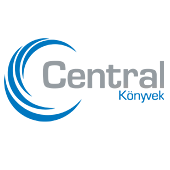 With around 600 published books, Central Media Group has become a major publisher in Hungary. Kids books are published, from 2018, under the ‘Turtle Books’ brand name. The company publishes books by well-known Hungarian writers, such as Berg Judit, Gryllus Vilmos and Tóth Krisztina, and the Hungarian editions of Usborne Publishing, a United Kingdom-based leading publisher of children’s literature, for children aged between 2 and 10 years of age. Central Media Group publishes the Harry Potter book series. The first three parts are already available in illustrated editions. The popular Scandinavian detective series, previously published by Animus, include books by several top Scandinavia writers, including but not limited to Jo Nesbø, Camilla Läckberg, and Jussi Adler-Olsen. Under the Animus brand we publish historical books (e.g. books by Yuval Noah Harari and Hahner Péter), and the books by Fredrik Backman, the author of the hugely popular book “The man called Ove”. Central Media Group also publishes books by well-known columnists of Nők Lapja : Schäffer Erzsébet, V. Kulcsár Ildikó and the best-selling author Vass Virág. Our educational and informative books, by recognized experts of the given area, e.g. Vekerdy Tamás, Kriston Andrea, and author of the 160-gram low-carb diet Vrábel Krisztina, help young mothers, parents and/or those seeking a healthy lifestyle with useful tips and advice. Books published by Central Media Group are available in all larger bookstores, online book shops or can be ordered at www.animuscentral.hu weboldalon.